Through workshops, classes, community projects and residencies, the Stringpullers wish to open the possibilities of expression through materials for everyone everywhere. Teaching construction, performance, and exploration of movement with objects to all ages, we've brought puppetry to Wesleyan University, Yale School of Drama, Connecticut Children's Museum, Boston Public Library, International Festival of Arts & Ideas, Quinnipiac University, St Thomas Day School, Betsy Ross Arts Magnet School, Fairfield University, Common Ground Summer Ecology Camp, Educational Center for the Arts, The Klein Auditorium performing arts program, and the American Museum of Natural History. Intro to Puppetry. Found object manipulation. Intro to Puppetry, construction & manipulation. Co-taught with Bob Bresnick. Construction class, building the puppets of Avenue Q.
Puppeteer training for The Secret Garden. 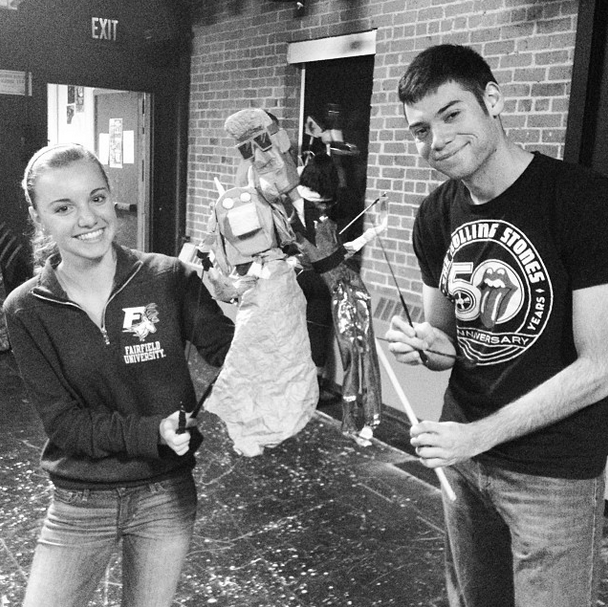 Puppet construction and performance with students for Avenue Q. Giant puppet construction project and performance with public high school students. Construction class, puppet cast of Avenue Q.
Rod puppet construction and performance. Giant monkey puppet. Designed, constructed, performed by high school students. Large puppet construction class with Bridgeport high school students. Giant chicken puppet project. Designed, constructed, performed by elementary school students. Found object puppets and theater-making. Giant chicken puppet project. Designed, constructed, operated by elementary school students. Performance class for Bridgeport High School students. Giant blue fish project. Constructed and performed by Bridgeport high school students. Intro to Puppetry. Rod puppet construction class. Student made cardboard and papier mache heads. Large puppet construction class. 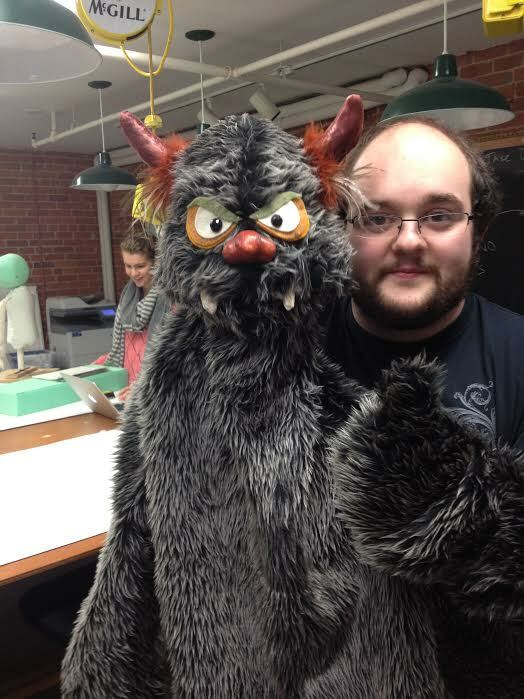 Large puppet construction with Bridgeport high school students. 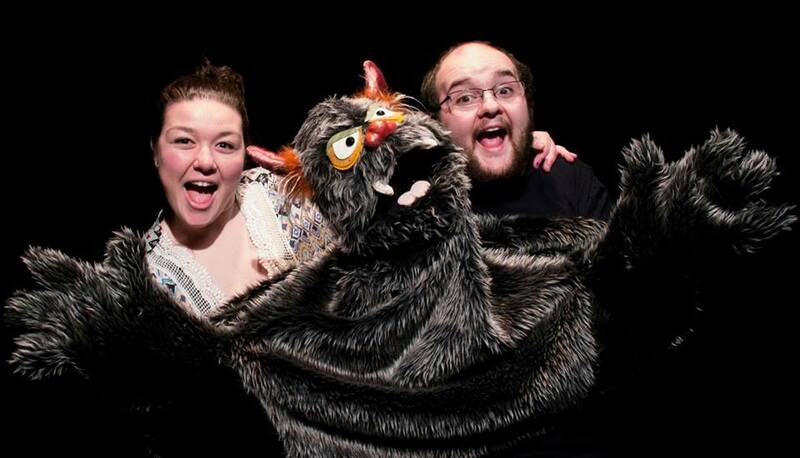 Intro to puppetry, exploration of performing with all styles of puppets. Construction class. 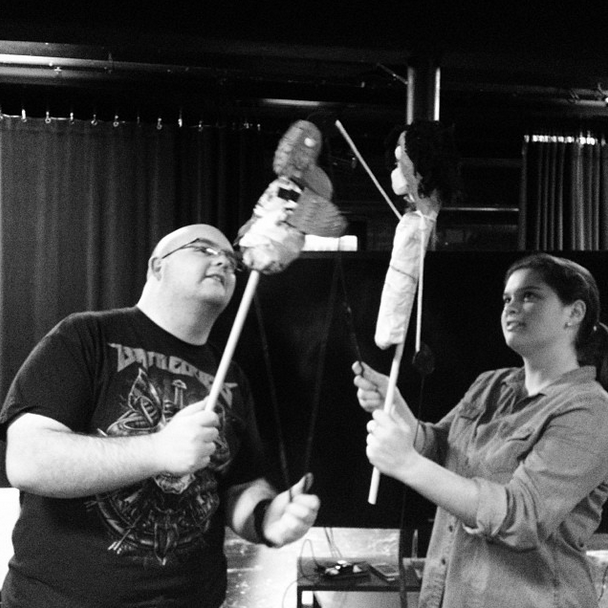 Building the puppets of Avenue Q. Large puppet construction with cardboard and papier mache. Making theater with puppets made from found objects. 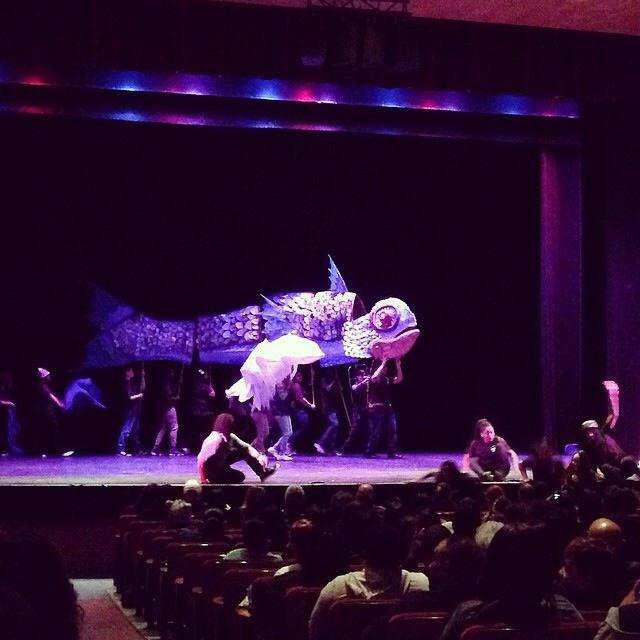 Giant blue fish project, built and operated by Bridgeport high school students. Construction class. Building the puppets for Avenue Q. Giant chicken project. Designed, built and operated by elementary school students. Big puppet project. Worm designed, built and operated by elementary school students. Giant puppet project, design and construction by elementary school students. Giant chicken puppet project. Designed, built and operated by elementary school students. Intro to puppetry. Puppets from found objects. 3 hour puppet show creation. Intro to Puppetry. Movement with materials and objects. Construction class at Fairfield University for Avenue Q. Intro to Puppetry. Shadow puppet class. The puppet construction crew of Avenue Q. 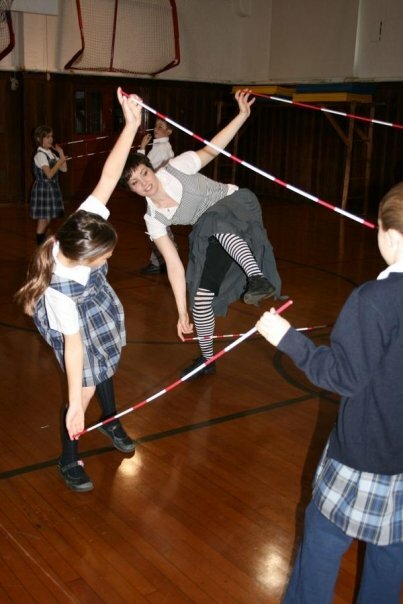 Movement workshop with elementary school students. Shadow puppet workshop with elementary school students. 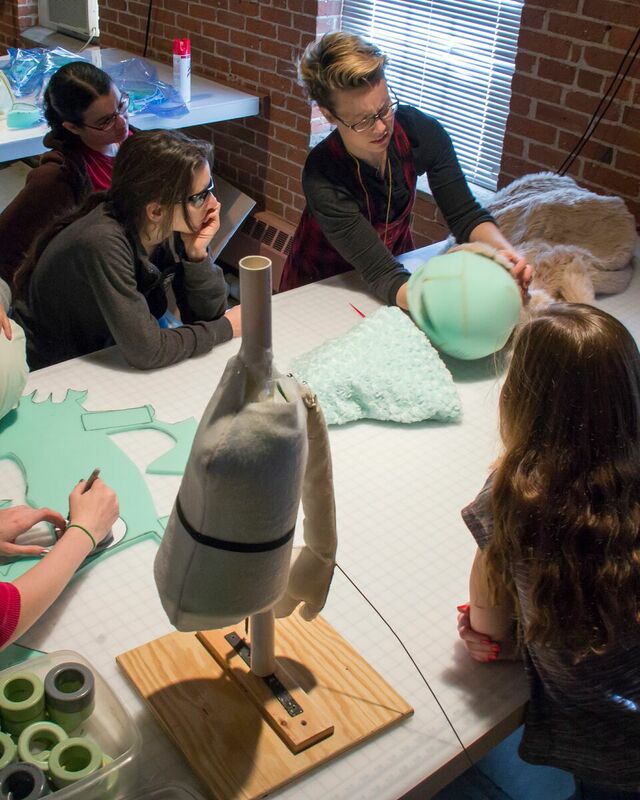 Giant puppet class with high school students. Intro to Puppetry. Rod puppet class. Co-taught with Bob Bresnick.